Earlier this summer, my kids started begging me for a kiddie pool. We had one last year, but we hardly had a chance to use it before the dog started using it as his waterbed (true story), so I wanted to get a new one this year. At the beginning of July, I skipped off to the grocery store with the sole purpose of buying my kids their wished-for kiddie pool. And…the store employees were cleaning away the summer items and putting out the back-to-school supplies. We never did get that kiddie pool. If my grocery store schedule is any indication, you are probably already way ahead of me on the school preparation for your kids. 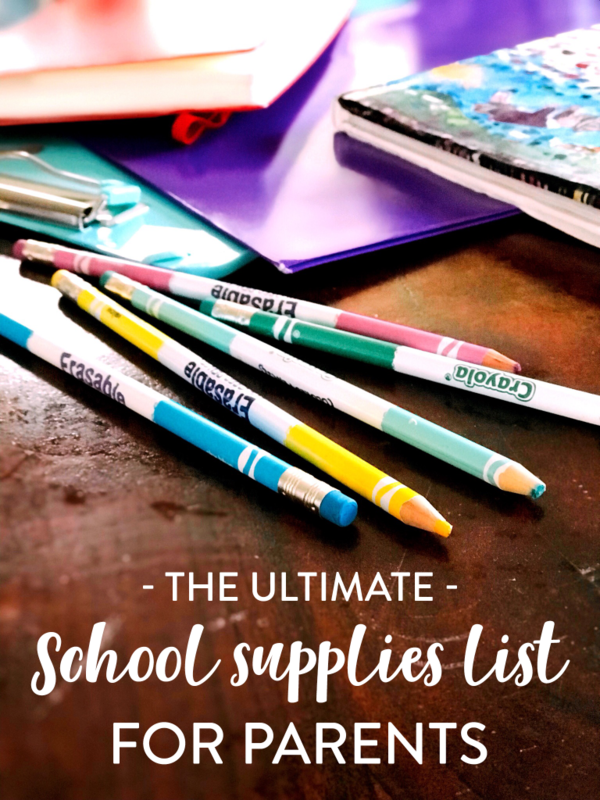 But no one ever makes a back-to-school list for parents, and I feel like we could use one too. After all, we are the ones who are organizing papers and supplies, making lunches, driving kids to activities, making sure everyone looks decently groomed, and doing a multitude of other things to keep a household running smoothly during the school year. 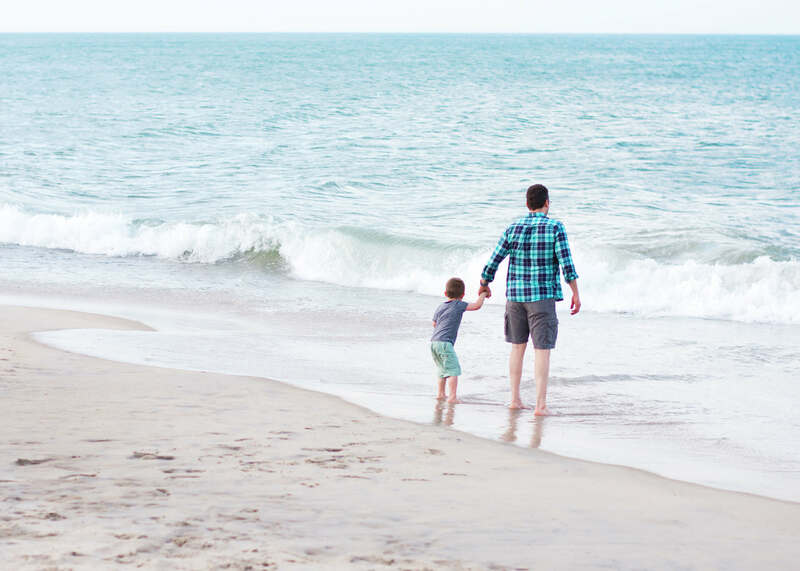 Planning is clearly not my strong suit or we’d have a kiddie pool right now, so I asked all my friends (and even my husband) for what they thought should go on a back-to-school list for parents. Below is a mixture of our ideas for making back-to-school season a little easier on the grown-ups! Maybe now I can be ready for the school year before they start putting the Christmas merchandise out. A good planner – I think this one is an obvious choice for the list. 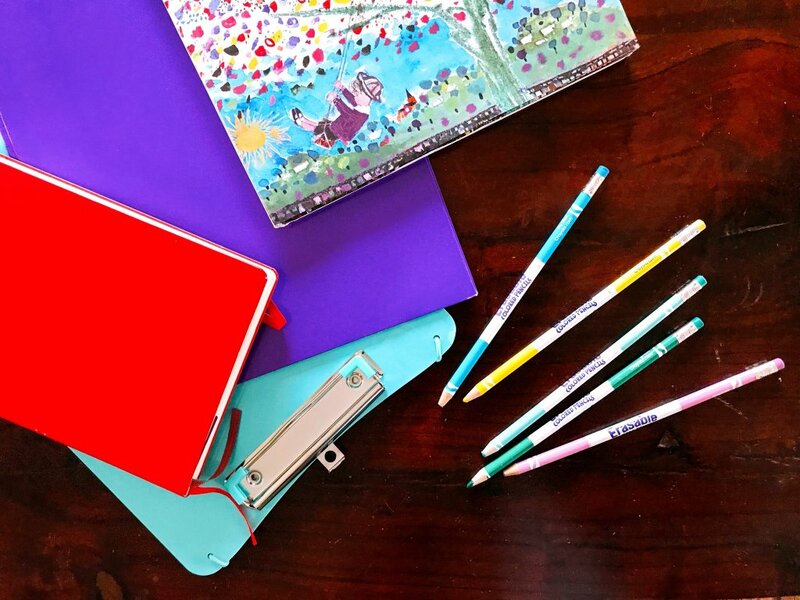 Whether you are homeschooling (and need to keep your own lesson plans organized), or you are sending your kids to school (where you may need help juggling schedules and events), a good planner is a must-have for the school year. A three-ring binder for school papers – Keep a hole punch and three-ring under handy to organize school-related projects and papers. One of my friends even takes it to a whole other level with a laminator! I am planning on keeping a binder this year to organize all my kids drawings – it will be fun to see how their skills improve over the course of the year, and organizing them in a binder will allow me to enjoy them for a while longer before I inevitably have to decide which ones stay and which ones go. A notebook to track growth – Another thing I want to do this school year is to record how I see my kids growing in different ways. When I notice my son was brave enough to try something new, I’d like to write that down. When my daughter has a breakthrough in math, I want a place to make note of that success! Especially when there is an area where your child is struggling, it is sometimes hard to see the trees for the forest. 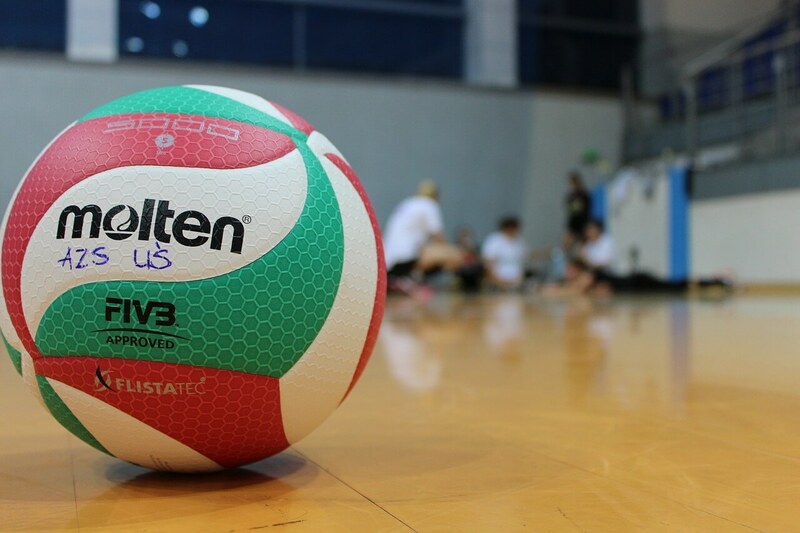 Instead of seeing small successes, we focus on the bigger goals that we haven’t reached yet. I don’t want to do that this year. I want to record the little successes, so I’m adding a pretty notebook to my “to-buy” list. A back-to-school outfit – Who says kids are the only ones who should have back-to-school outfits? Take this with a grain of salt, because you know whether you actually need anything new in your wardrobe – but taking a little time to put together a few outfits that make you feel comfortable and put-together can help with productivity and confidence too (at least that’s what my friends and I think)! Craft/Art Supplies – Try to be reasonably prepared for whatever projects might come up during the school year. Ink or Toner – The beginning of the school year is a good time to check those levels and fill up. 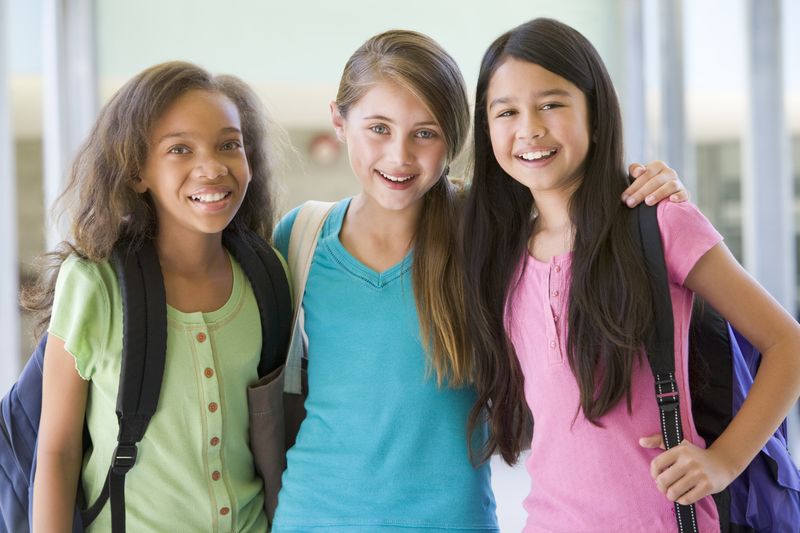 Vitamins/Supplements – More kids gathered together more often means there are more opportunities for germs to make the rounds! Even we homeschoolers are affected by this with co-ops, Bible studies, or Sunday School. 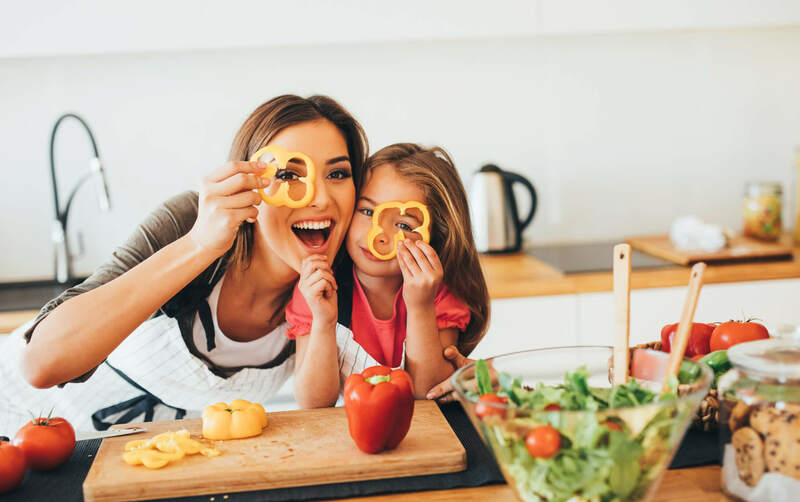 If you have any supplements or foods that have been a support for the immune systems in your family, add them into the routine. A Meal Plan – Unfortunately this isn’t something you can run out and buy at the store, but having a plan for meals will hopefully prevent some of the craziness that can come with the start of the school year. And for when the meal plan fails, have the ingredients for some easy meals or some freezer meals ready to go! Coffee – Or your caffeine delivery beverage of choice! I kid (sort of), but if there is a particular food or beverage that gets you going in the morning, have it at the ready! I heard recently that drinking a glass of cold water first thing in the morning may have the same effect as a cup of coffee – I have no idea if this is true, but it’s worth a try. 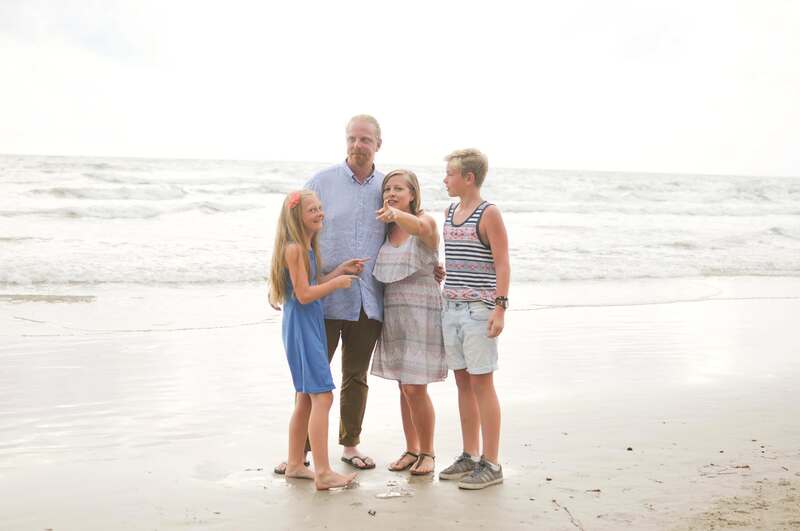 A Devotional Time Plan – The season of having school-age kids is busy, and it’s easy to let your relationship with the Lord take a backseat to the to-do list, especially when the back-to-school hubbub is demanding our attention. Let’s think ahead a bit so that doesn’t happen during the school year. Spending time in Bible reading and prayer is so important for Christian parents, because if we aren’t being filled up with God’s Word, we can’t pour it out to our kids. And wherever your kids are doing their learning, teaching them the commands of God diligently is your job as their parent. We need to make sure we are learning and growing in our faith, and also make sure we are talking to our kids about the truth of God’s Word at every opportunity. This is something I am constantly adjusting and experimenting with to make sure teaching my kids about the Lord isn’t just something we are tacking on, but is ingrained into who we are as a family, through our daily rhythms. I recommend making a plan for your personal and family devotions that will work even on busy days, and then doing your best to stick to it, no matter what! 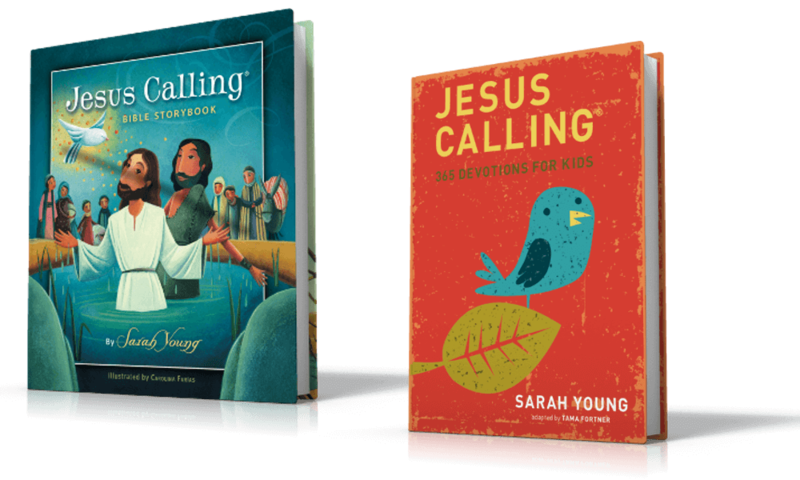 The most important thing your kids could learn this year, or any year, is the truth of what Jesus did to save them from their sin, how to be saved – and once they understand that, how to follow the Lord faithfully through their day-to-day lives. Be sure you teach them that. What else would go on your own back-to-school list?